PolitiFact was on hand to provide live fact-checking an Arizona Senate debate on Monday. When your business is based on checking for the truth in every claim and statement, you need to be sure and get it right. 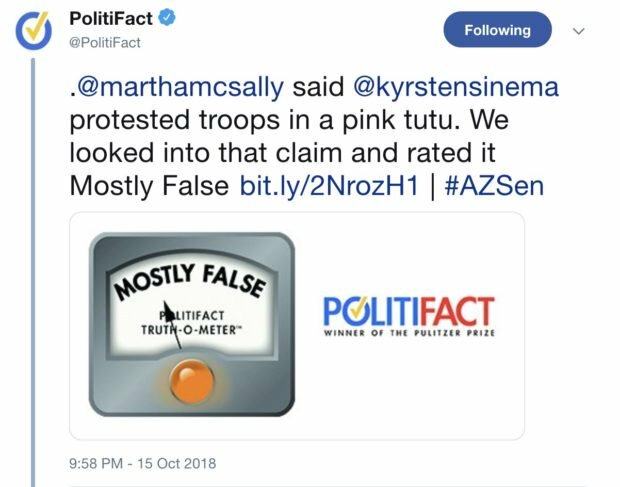 That was a problem for the veteran fact checking company when GOPer Martha McSally reminded the audience of a protest attended by her opponent, Kyrsten Sinema. McSally reminded everyone of the pink tutu that Sinema wore in a protest against the military. 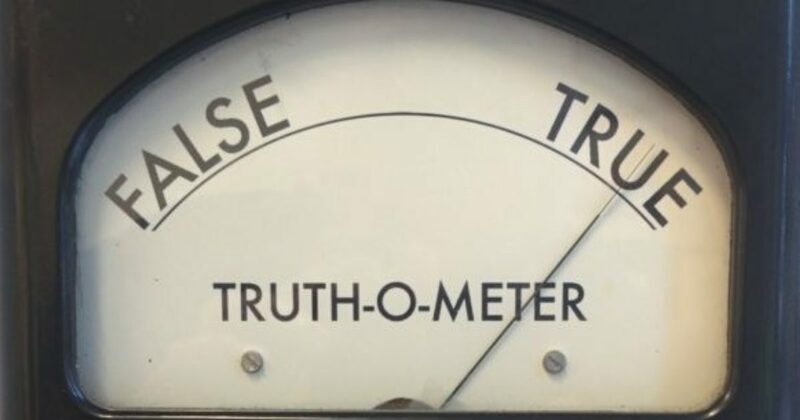 I guess PolitiFact did not get the photo on that one.